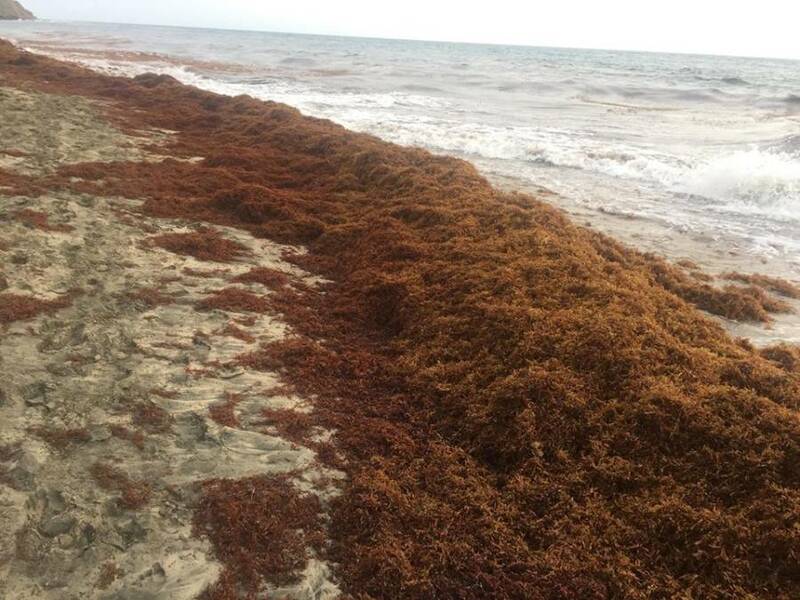 Grenada, in its quest to identify a solution for the Sargassum invasion, has approached China to consider using it for a fertilizer it produces, while at the same time, St George’s University is trying to confirm the variety and level of safety of the seaweed that is washing up on our shores. Environment Minister Roland Bhola, said during Tuesday’s post-cabinet briefing, that China has shown some interest, but they want to know the variety of seaweed that is washing up on the beaches. “We understand that they use it to make some form of fertiliser, however they have asked us to confirm the variety, because they use a special variety for the fertiliser they develop,” he said. Bhola said that with the great abundance of seaweed washing up on the beaches, if China was to accept the variety found in Grenada, the island will be able to ship tonnes of the seaweed which is normally found in the Atlantic. Bhola said also admitted that research is also being done in conjunction with St George’s University to confirm the safety level and the variety. “We are not going to demand to our farmers that they use it as fertiliser; if they want to use it, they can use it, but the intention of this research is to assess the safety level for the farmer and the environment,” he said. “Once that is done, we will let them know and we will develop a plan in going forward, but for now, we are not to demand that farmers use it,” he said, while explaining that at present Government doesn’t have a definite plan how to deal with the what many describe as an organic form of fertiliser. “There isn’t a definite plan, but we are doing small cleanup of beaches, especially those beaches which are used by people for bathing,” he said. 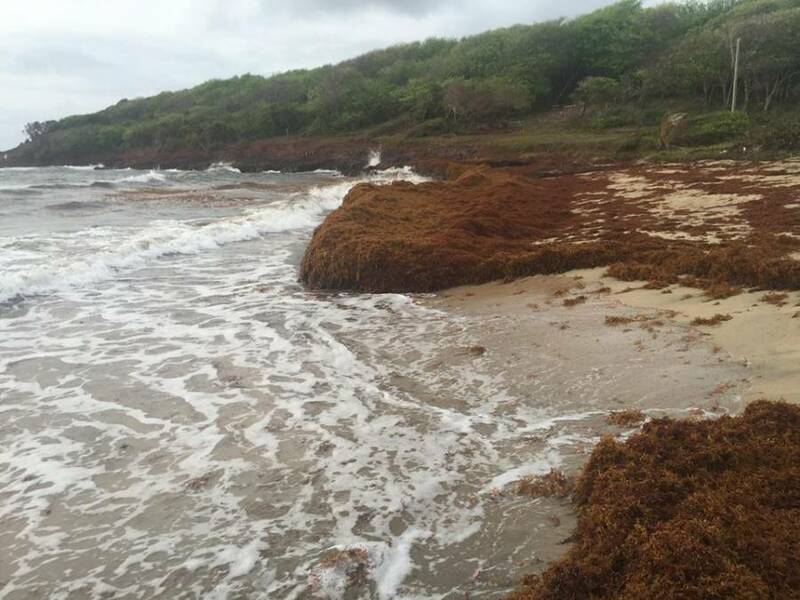 The Sargassum invasion started in late 2014. It first affected beaches on the Atlantic side of the island, but based on tides movement, it is now taking over the northern parish beaches. “In some cases, we have seen seaweed as high as four feet, and when removed the next morning it’s there again,” said Bhola.